Monica Jones walks, unassumingly, down the 3800 block of 3rd Street on her way back to the house she’s lived in since April. From the outside, the 18-year-old with bright red hair seems anything but reserved; still, at first, she avoids eye contact. But when Monica was 11, her parents divorced. “After the breakup … it just, everything went south,” she says. She graduated at 17 with a 3.6 grade point average. But, these days, Jones, who’s been working as a janitor through a temp service and had worked at Denny’s until recently, has one thing on her mind. 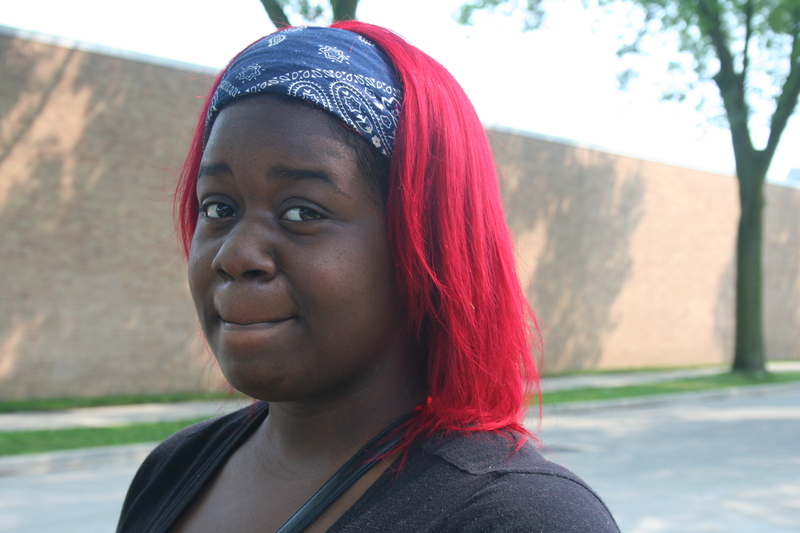 “I’m just tryin’ to go to college and get out [of] Milwaukee,” she says. “It’s like you can’t go live your life, you can’t go have fun, you can’t meet new friends, you can’t do none of that in Milwaukee,” she says. “I work a lot and I’m just tryin’ to get that money to where I can get out of Milwaukee. Did you find value in Monica’s story? If so, please subscribe to our newsletter; we publish the story of a different Milwaukeean every week.